Yuengling has proudly supported our active duty military, veterans and their families for many years, and 2018 marks the third year for our Lagers for Heroes program. For Yuengling, the Lagers for Heroes Program runs year round, but in the month of May leading up to Memorial Day we ask our loyal fans to join us. This year we are asking you to support an amazing organization, the Tragedy Assistance Program for Survivors, better known as TAPS. If you know anything about Yuengling, you know we’re dedicated to family – not just the 6 generations of Yuenglings, but also the generations of employees, the communities of Pottsville and Tampa, and our loyal fans. So, when we first learned about TAPS and how they provide compassionate comfort and care to families coping with the death of America’s fallen military heroes, we knew we had to had to support them. Since 1994, TAPS has offered support to more than 75,000 surviving family members and their caregivers through peer-based emotional support, grief and trauma resources, grief seminars and retreats for adults, Good Grief Camps for children, case work assistance, connections to community-based care, online and in-person support groups and a 24/7 resource and information helpline, all free of charge. 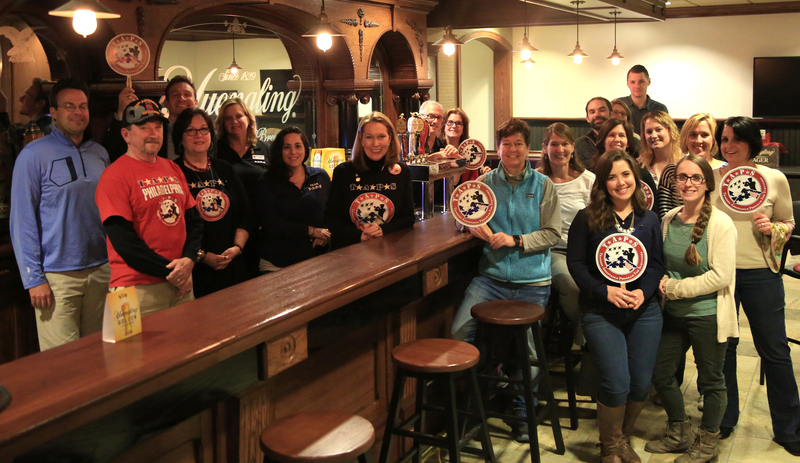 TAPS members, including surviving military spouses and family, visited the Yuengling Brewery in Pottsville and met with the Yuengling family and employees. Throughout the month of May, you can donate to TAPS by texting “TAPS” to 24700 or you can also make a donation at purchase through a bar code scan at the register. 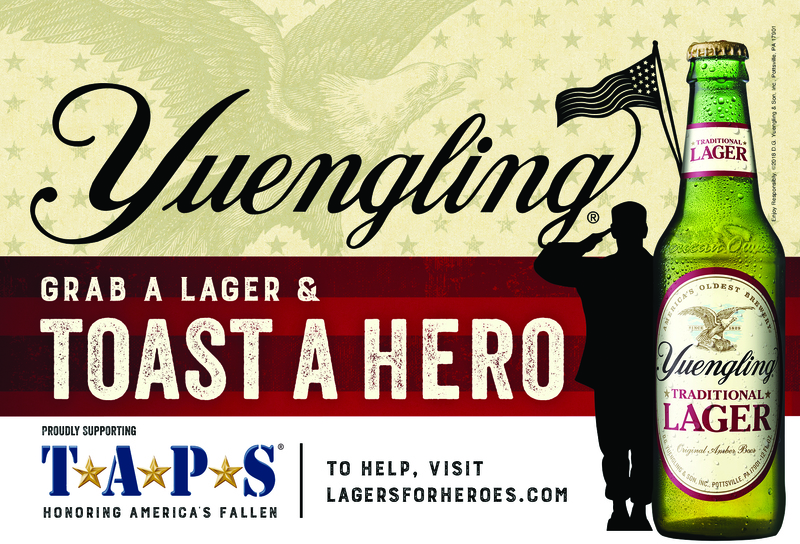 Yuengling will also donate 20% of sales from our Heroes Collection to TAPS. Additionally, Yuengling will present $50,000 to TAPS later this year for their ongoing support to provide comfort and care for the families of America’s fallen heroes. Look for more, exciting news on the Lagers for Heroes program throughout the year, and learn about other partners we support on Facebook, Twitter and Instagram.